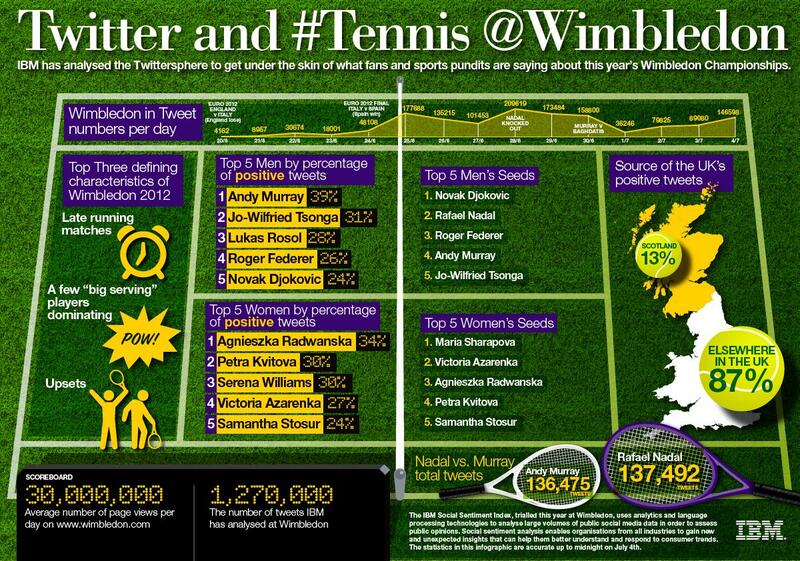 The IBM Social Sentiment Index, trialled this year at Wimbledon, uses analytics and language processing technologies to analyse large volumes of public social media data in order to assess public opinions. Social sentiment analysis enables organisations from all industries to gain new and unexpected insights that can help them better understand and respond to consumer trends. The statistics in this infographic are accurate up to midnight on July 4th. Learn about the benefits of laser engraving metal with Lasit technology: reliability, versatility and high productivity, https://www.lasitlaser.com/laser-marking-plastic/ for more information.